The Spring edition features six more interesting and captivating articles. 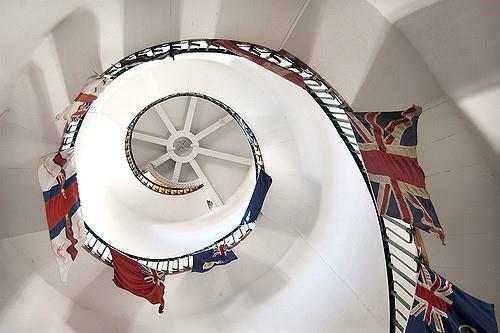 The first feature is the Withernsea Lighthouse Museum in East Yorkshire by Tony Simpson. The most unusual feature of this lighthouse is that it is approximately a quarter of a mile inland from the sea. At the end of June 1976 the lighthouse was decommissioned and today is a museum of memorabilia concerning the RNLI, Coastguards and local history. Part of the museum is also dedicated to actress Kay Kendall who was born on the same street as the Withernsea lighthouse. Then Margaret Mills looks into another aspect of the life of the Brontës and gives an account of the life of Martha Brown who was a servant and friend of the Brontë family. 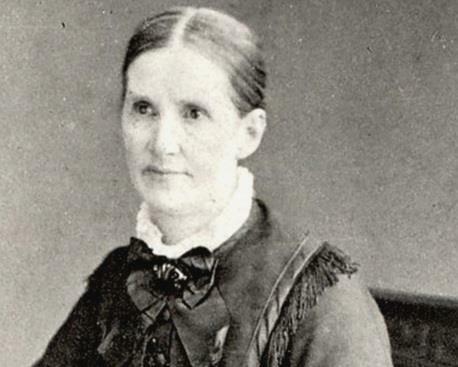 Martha Brown was born in Haworth in 1828 and was the eldest of the 6 daughters of John and Mary Brown of Haworth. John was a stonemason by trade, who also fulfilled the role of church sexton. Although from very humble roots, Martha was a vital link in the Brontë story, so much so that the famous novelist Elizabeth Gaskell sought her help when writing her best-selling biography The Life of Charlotte Brontë. Stephen Riley continues his fascinating story of Yorkshire’s railway seaside holiday posters. 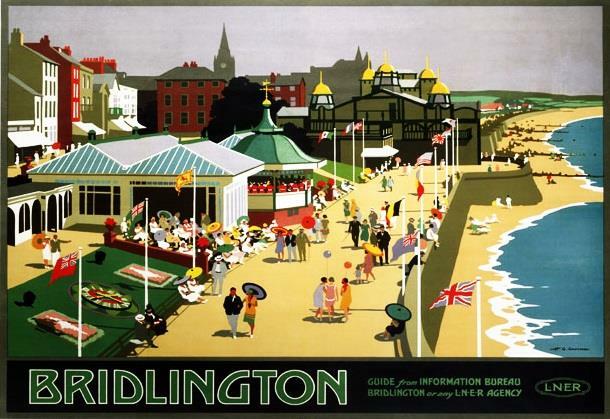 Bridlington is the next seaside resort on the east coast after Hornsea and Withernsea and once the railways arrived in 1846 it soon became a popular resort. Stephen explains how Bridlington developed into a holiday resort with the success and sad demise of the numerous posters that appeared on railway billboards from the end of Victoria’s reign right up to modern times. For our next story Julian Giles visits Holy Trinity Church, Wensley in North Yorkshire which is noted for its magnificent art work in wood carvings and brass memorial plaques. The church also displays two interesting fragments of medieval wall paintings on the north wall of the nave. They depicted two separate scenes ‘The Three Living and The Three Dead’ and ‘A legend in the Life of Saint Eloi’. 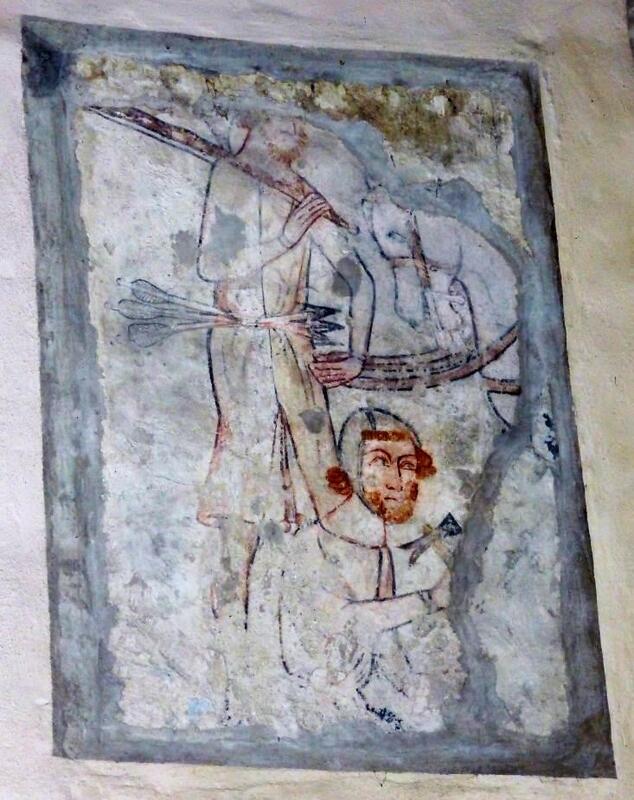 Julian who has researched these medieval wall paintings reports on them in full detail including a history of the church. 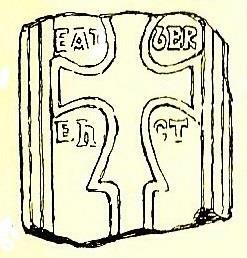 Also in Holy Trinity Church, Wensley are several Anglo-Saxon stone carvings, of which two have inscriptions. Jeremy Clark has studied these carved stones and an Anglo-Saxon burial of a man with a sword found in the Wensley churchyard and gives a comprehensive description of them. 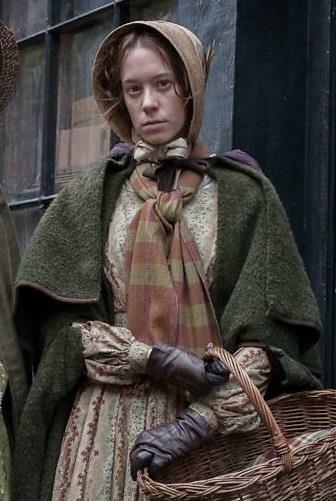 For our last feature Margaret Mills reviews the BBC drama production To Walk Invisible which expresses the story of the Brontë sisters’ rise to literary fame and publication against all odds. Brian Wade visits the film locations at Haworth, Shibden Hall, Halifax and Micklegate in York. A full-sized replica of the Brontë Parsonage and its surrounding was built on Penistone Hill above Haworth in order for it to look the same way it did when the Brontës lived there. This purpose built production set has since been dismantled.